A car accident can happen when we are least expecting it. When driving, it can be easy to get distracted or get lost in our thoughts, but we must all remember to pay attention to what is going on around us. 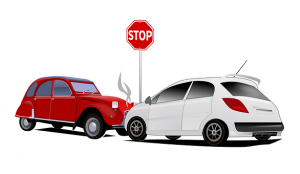 Car accidents can have severe outcomes, and we must all do our best to keep them from happening. On June 6, the Boston Police Department received information about a car accident. The call was received around 12:10 p.m., and emergency responders arrived at the scene quickly. Officer Mercedes Parker and other first responders secured the scene and directed traffic around the area. The accident occurred at 480 William F. McClellan Highway. Upon arrival, they found that one individual had sustained injuries in the crash. Medical care was given to this individual at the scene. The extent of their injuries is still under review. No fatalities were reported. A car accident can be a devastating event. Accidents that involve impact at high speeds can be particularly devastating, and drivers need to remember to remain aware at all times. We all have a responsibility when behind the wheel to keep ourselves and others safe by following traffic laws. Victims can seek compensation and assistance to recover their losses and focus on healing. We at the Law Offices of Jeffrey S. Glassman know how serious some car accidents can be as we see the results of these accidents first-hand. As members of this community, we urge all drivers to follow all traffic laws and remain conscious of what is going on around them. We know that accidents can happen to even the safest drivers, and we are here to help victims get the help they need to recover and heal.